"Pink Diasies" Journal Cards delivers the perfect digital cards to create a pocket scrapbook layout with this digital kit and theme. It's all about the memories and these journal cards do not disappoint!! 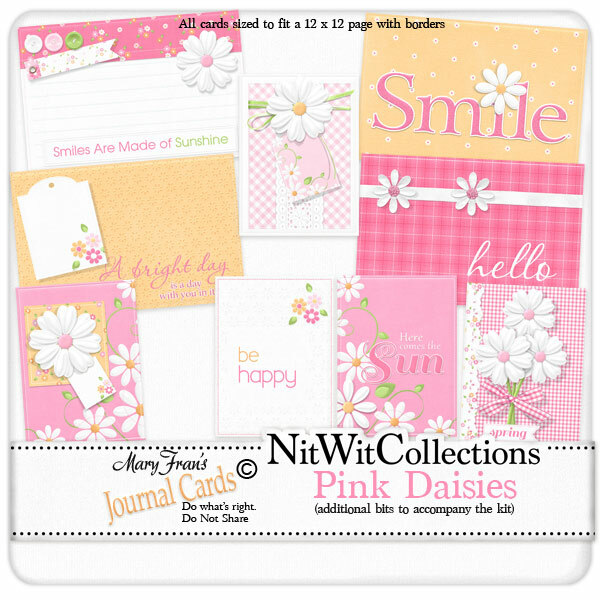 These journal cards are NOT included in the ELS "Pink Daisies" Collection. 10 Journal cards that also coordinate with my "Pink Daisies" Collection.